Dr Gareth Lewell is committed to giving each patient the best possible treatment. So that we can provide exceptional quality care, Dr Lewell begins with a comprehensive consultation. 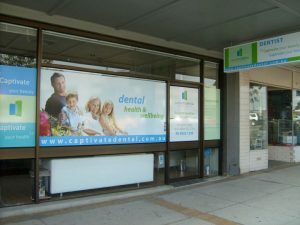 The Captivate Dental team’s primary focus is to make you feel comfortable in our practice; we endeavour to create a long lasting relationship that is built on mutual trust and understanding. Our goal is to fulfil your dental desires and create dentistry that is both functional and aesthetically pleasing. We encourage you to participate and be actively involved within each phase during the determination of your ideal dental aspiration. Firstly, we will begin with a thorough dental examination involving your teeth, gums, bite relationship, facial muscles and jaw joint (TMJ). We then take comprehensive photos and digital radiographs to create a holistic view of your current oral health. Dr Gareth Lewell will then discuss with you his findings to enable you to make an informed decision and actively participate in the formulation of your optimal treatment plan.